Pillar Resources is a commercial, multifamily, and new construction flooring contractor that provides a full spectrum of products and services. We are committed to being a leader in the flooring industry and take pride in our professionalism and integrity. 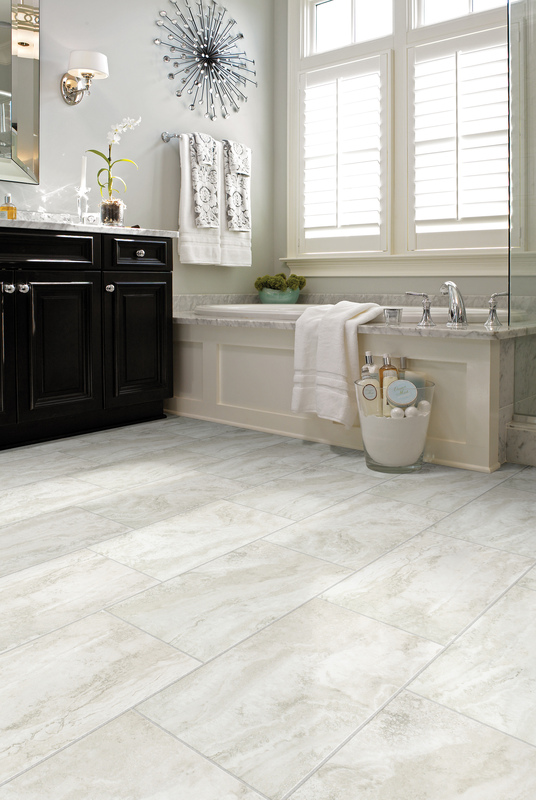 Vinyl flooring isn't what it used to be and is considered to be one of the hottest flooring trends of the decade. 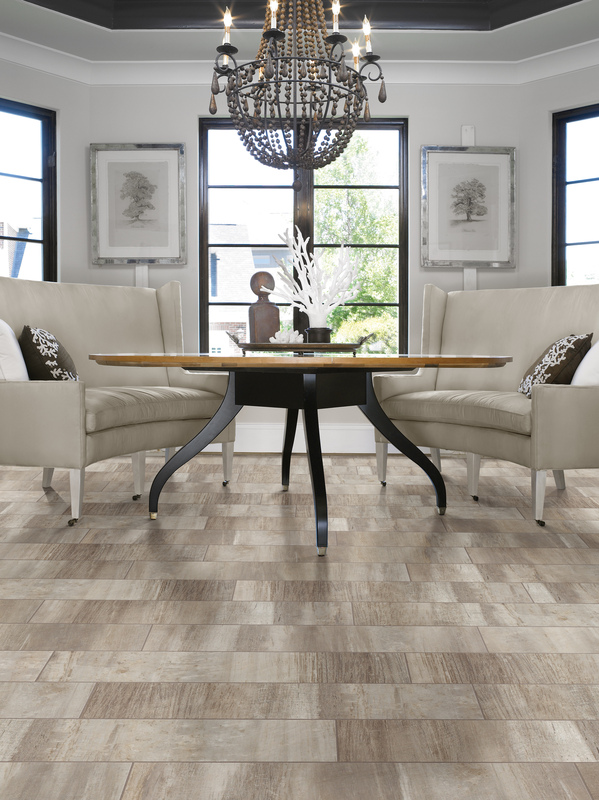 Luxury vinyl flooring is one of the most sought after flooring types and typically comes in plank (LVP) and tile (LVT) form. Over time it has undergone some major transformations and technological advances that now has it resembling stone, wood, or really anything we can dream up. Its resistance to water and ease of care gives it a functionality that is tough to compete with. Since it is often considered waterproof, this makes it a great choice for nearly any room and it has become the #1 flooring choice in the commercial industry. It often checks all the boxes when comparing it to the needs of a space, and it is extremely cost effective. 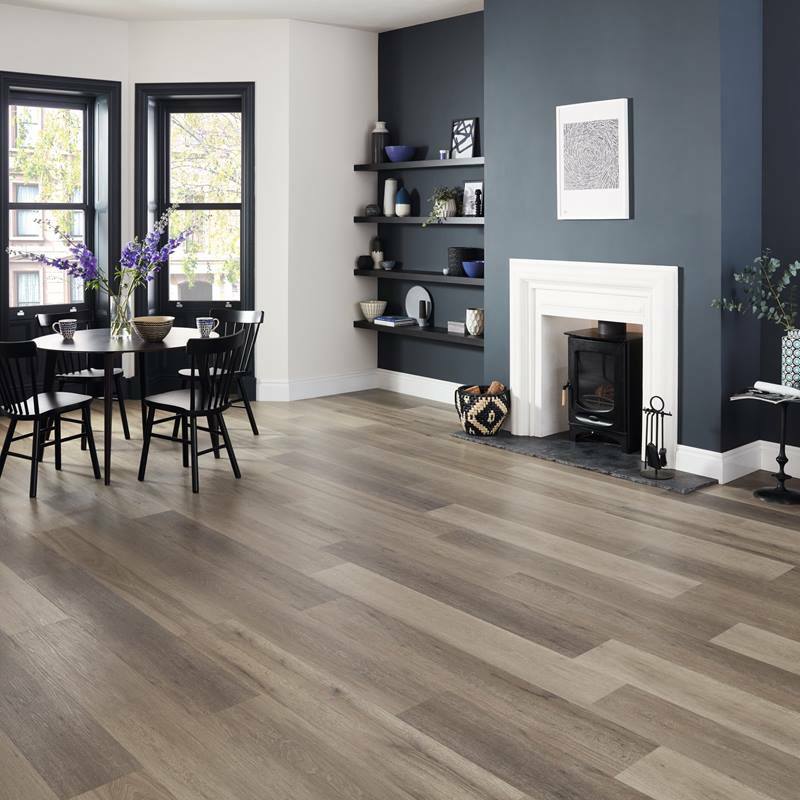 At Pillar, we offer the most sought after brands in the vinyl flooring world and we can help you select the best floor for your budget or project. New and innovative design possibilities due to digital printing technology- Known as the "master imitator". Improves the warmth of commercial spaces. Quick and easy to install- Saving time and money. Extremely durable with waterproof qualities, and easy to maintain. Floor and wall installation- Providing even more versatility. Cost effective- Usually one of the least expensive flooring options. 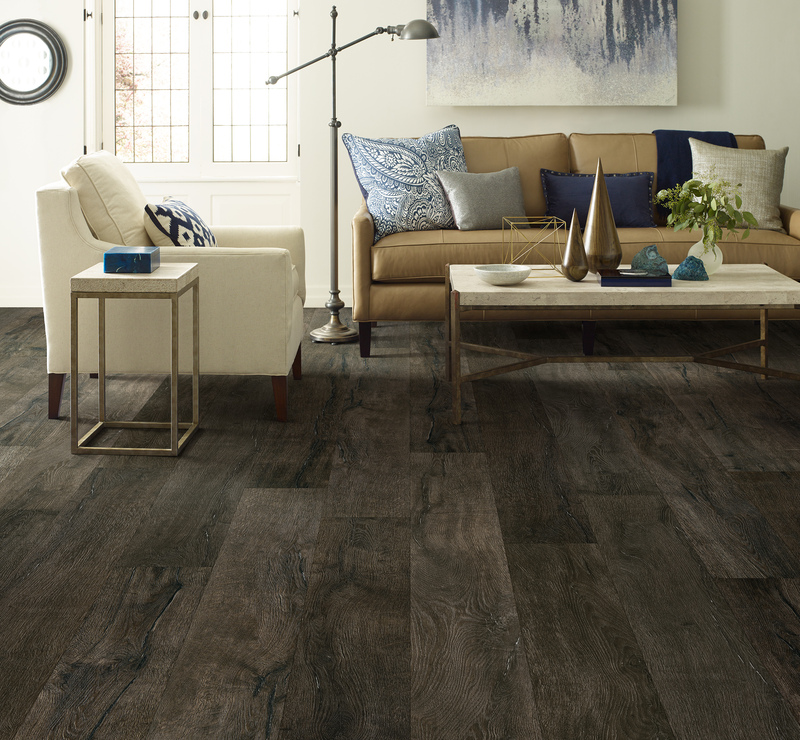 LVP (luxury vinyl plank) or LVT (luxury vinyl tile) can be easily installed in three ways: glue down, loose-lay, or click-together. The more advanced loose-lay systems makes it possible to use vinyl with minimal surface preparation. Which in turn, reduces flooring installation costs and installation times. The most important thing to consider when installing vinyl is acclimation time. 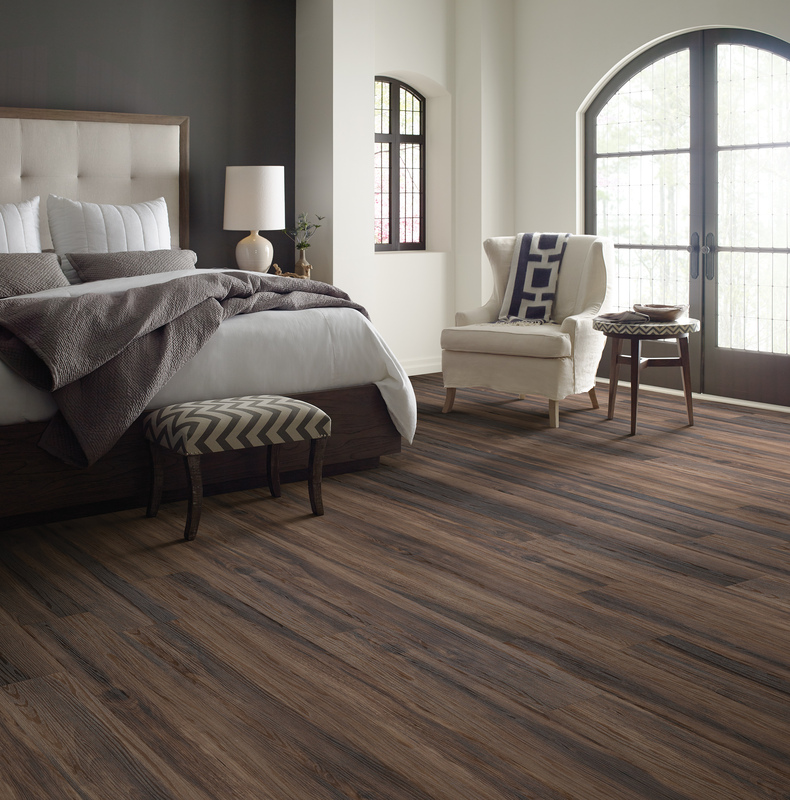 The ideal acclimation time for all vinyl products is at least 48 hours in order to prevent gaps or buckling. 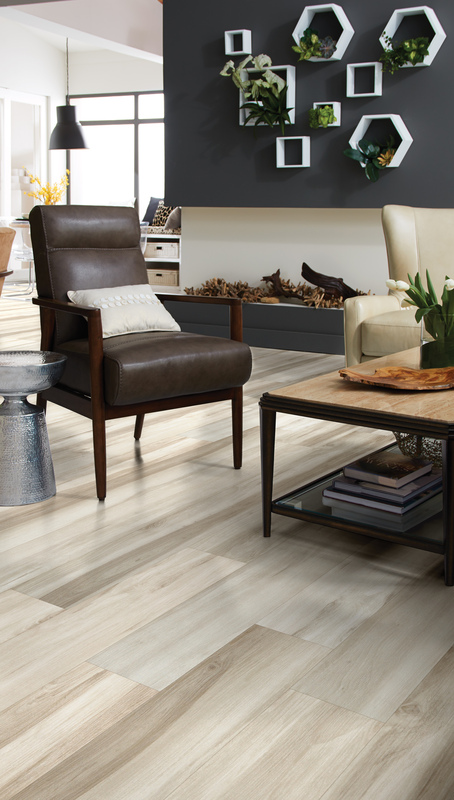 The glue down installation method involves the use of an adhesive to adhere your luxury vinyl flooring to its base — making it a long-lasting installation approach. 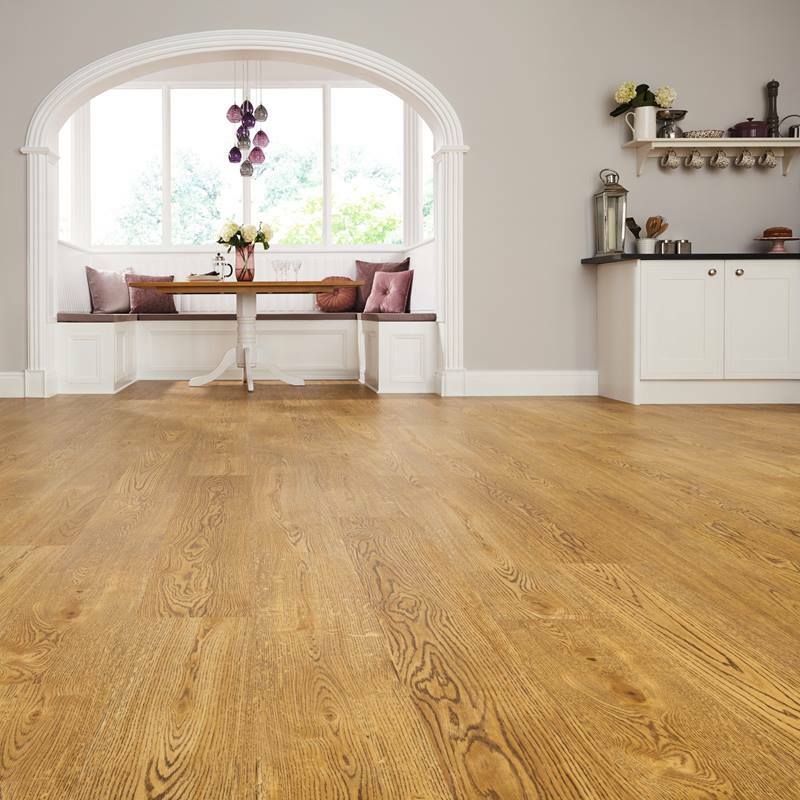 The adhesive creates dimensional stability that ensures the flooring maintains its natural characteristics. The glue down method involves two distinct types of adhesives: hard set and pressure sensitive. 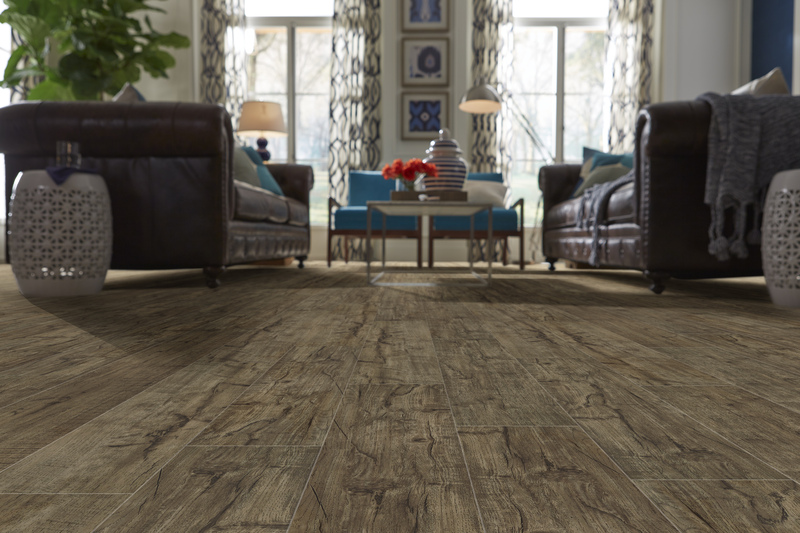 Hard Set — A hard set adhesive spreads along the subfloor — which holds the vinyl flooring firmly in place. This is especially important for environments within the healthcare or retail industries that experience heavy rolling traffic such as wheelchairs and gurneys, shopping carts and dollies. The adhesive allows your flooring to absorb a heavy point load, which means it is far less likely to have indentations left when heavy things are removed. Pressure sensitive — Pressure sensitive adhesive allows for an installation process that makes your flooring sturdy, yet simple to replace. Pressure sensitive adhesive is especially suited for the retail and hospitality industries, or those that tend to change up their brand on a continual basis. Loose-lay installation is an adhesive-free system that can either be installed directly over the sub floor, or by using a cushion or vapor barrier system. Loose-lay vinyl has a heavy fiberglass backing that allows the sheet to lay flat on the floor without glue. 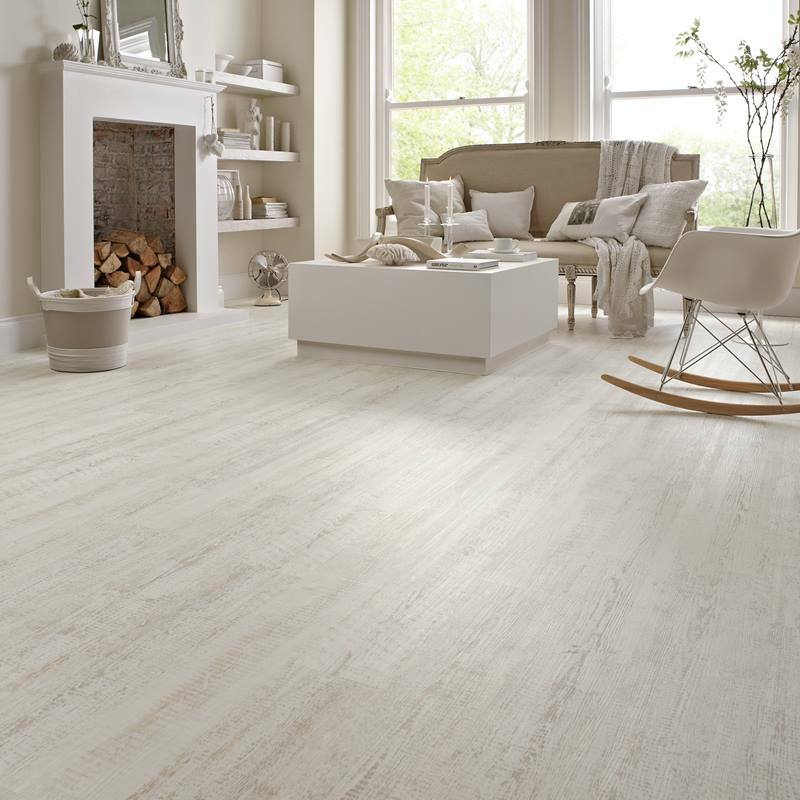 The planks or tiles are dimensionally stable which means they will not expand or shrink depending on moisture levels. There is no need for an expansion gap since the loose-lay material is so thick and heavy, once it is installed it will stay in place. Securing the material with double-sided tape at edges will prevent it from curling, and larger spaces will likely require a grid of adhesive tape applied to the sub floor to ensure the flooring stays put. This method of install gained its popularity from laminate years ago and continues to be a top choice for installing luxury vinyl. 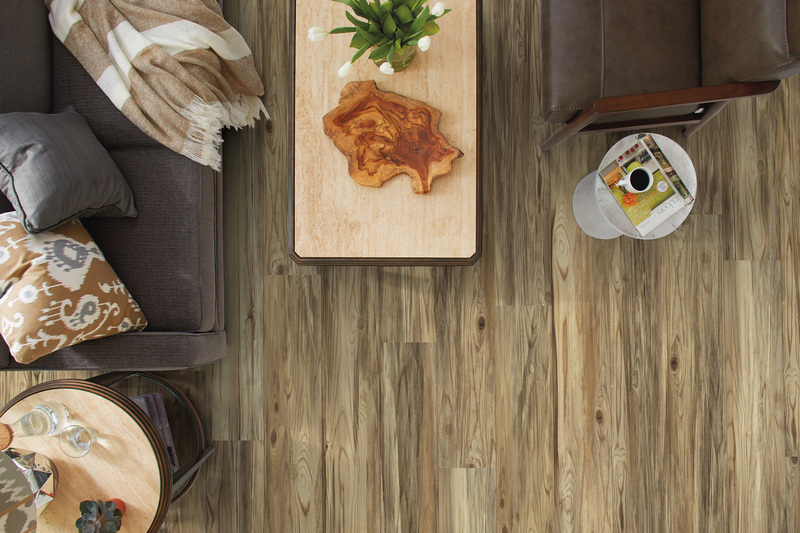 In this case, the luxury vinyl planks are interlocked as a "snap together" system and typically "floated" over most existing floors. No glue, special skills or tools are needed; therefore, saving a lot of time and money on installation. While it is still important to smooth out the sub floor prior to install, vinyl floors are much more forgiving than laminate so if there is a slight variation to the sub floor, it won't likely telegraph through the vinyl. Another thing that will help your flooring last is by leaving an expansion gap at the time of install. Since the floor isn't adhered to anything, the floor is technically "floating"; which also means it will expand and contract when exposed to different temperatures and humidity levels. The recommended expansion gap is a minimum of 1/4 inch. If the proper size gap is neglected, this could result in the floor buckling and often leads to irreversible damage that calls for replacement. The only real drawback with click-together installation is that when you need to replace a segment, you have to remove the flooring leading up to the area that needs replacing. This takes a lot more time and precision than replacing a segment that was installed with the glue down or loose-lay method.